Nothing makes me happier than finally going to a place that I’ve been dying to visit, and it’s all the better when it’s some delicious eatery. 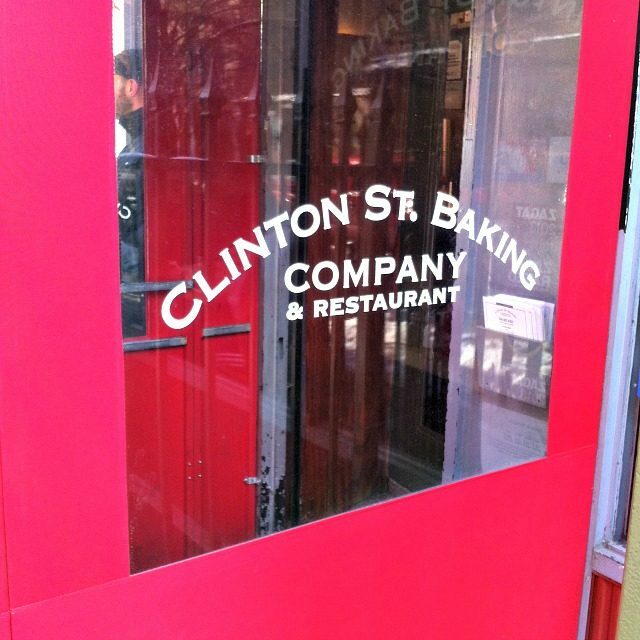 Such was the case recently when I finally made my way downtown to try Clinton St. Baking Company, a place that I had heard had the best pancakes in the city. And happily, it turned out to be true! 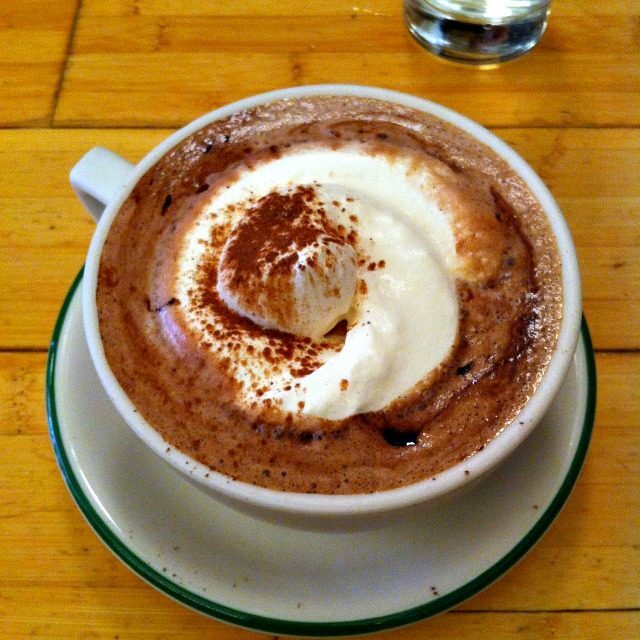 The hot chocolate…oh my. This was on a whole different level – not your run of the mill hot chocolate. Don’t ask me how they made it so delicious, but wow. I drained it in approximately 2 minutes. The blueberry pancakes were so incredible, truly unlike any others that I’ve had. The edges had such a delightful crispness, it almost tasted like they’d been fried, and the flavor and texture were just out of this world. Plus warm maple butter. 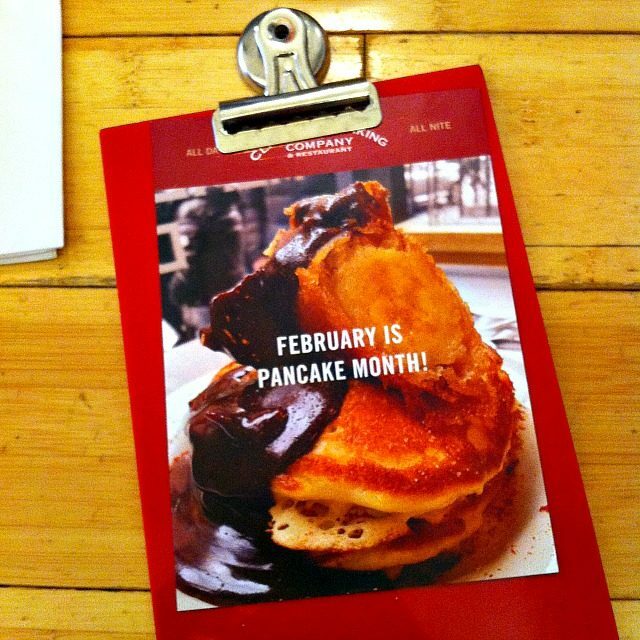 Right now, it’s Pancake Month, meaning they’re serving all sorts of cool flavors of pancakes all day. 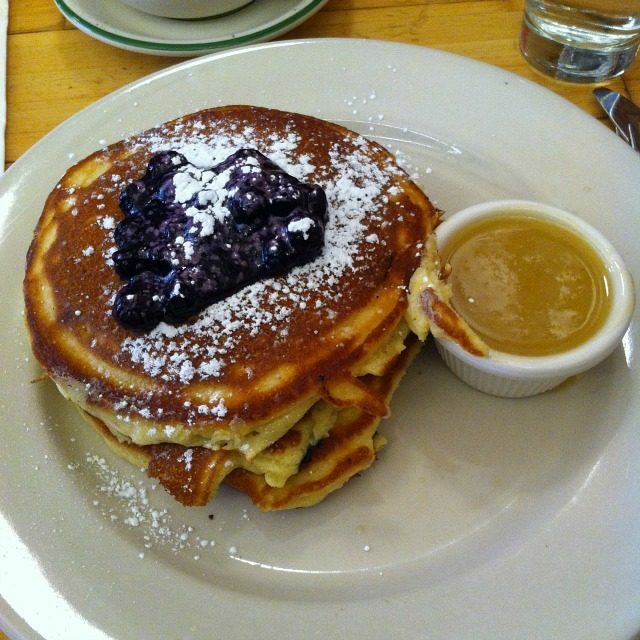 They’ve got Fresh Coconut Pancakes, Swedish Apple Pancakes, Fresh Blackberry Pancakes, and many more. 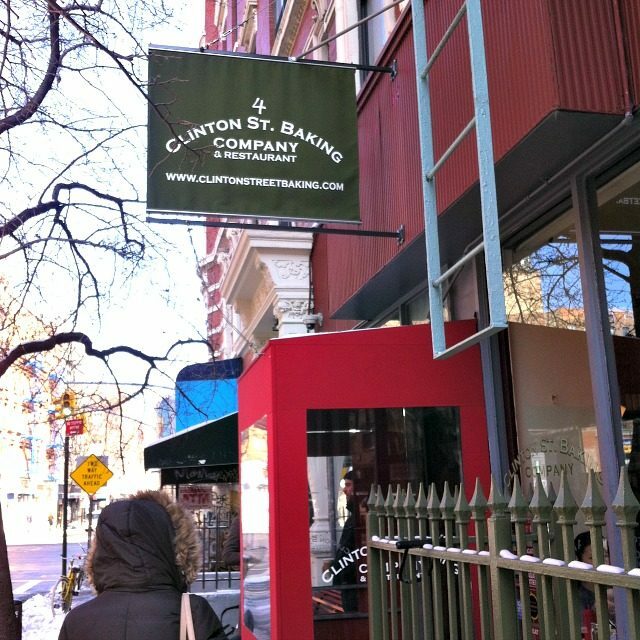 The fact that they serve brunch ALL DAY, every day! That is amazing, as most places only serve brunch on weekends until 4, or breakfast until 11 (which is when I’m usually getting out of bed). Out of the way location on the Lower East side…a bit rundown for sure. PS-I did a little Q&A over on Hunter’s blog Prep on a Budget, on blogging, photography, life in New York City, and more. Hunter is a total sweetheart and her blog is fantastic, so I hope you’ll pop on over and say hello! I am so jealous! This place looks fabulous! I'm jealous, too! 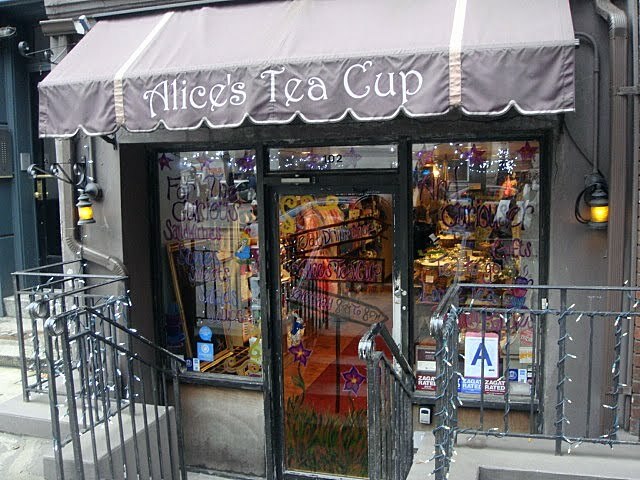 If I ever venture up to NYC I'll have to check it out! Oh yeah that neighborhood is not the best. But that place looks A-mazing! I am hungry now. Your pictures are making me hungry! Kudos to your sister! This place looks amazing and worth the wait! 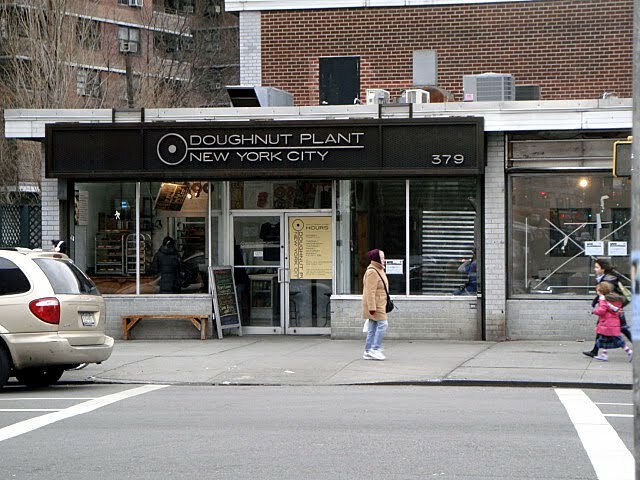 Oh this place looks incredible. Mouth watering. Thanks for the shout out – we gotta go back!